Puppy Training - Simple Guide to Getting It Right! 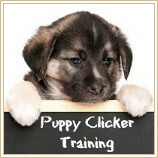 Puppy training isn't an option, it's a necessity, but it doesn't have to be a chore! Luckily, training your puppy isn't all about lessons and rules and there are dozens of 'teachable moments' every single day. The things little Fido needs to learn include appropriate potty habits, good manners, basic obedience commands, socialization, and how to behave in an acceptable way in the human world. With puppies the keys to learning are repetition, consistency and reward... and if you use them wisely you're little guy will grow up to be a well mannered, obedient dog who is fun to have around. If you're a first-time owner, or it's been a while since you had a puppy in the house, you may be feeling a little confused about where/how to start, and that's totally normal. Puppy training is really very simple if you follow some straightforward steps and guidelines, and this page has what you need. Puppy Training - Where To Begin? The first few weeks with your new puppy set the tone for your whole relationship, so it's important to start out the way you mean to go on. Realize that bad habits which seem cute now will be a whole lot less so when Fido weighs 50lbs (or even 120) and don't allow him to get away with things that you aren't happy with him doing for life. Something else that it's really valuable to be aware of is that it's not only WHAT you teach your puppy that's important, but HOW you teach it. Positive, rewards based dog training methods are the only ones that work, and if you follow a few simple principles you'll both find the whole process so much easier - and more enjoyable. There's a huge amount of online information on this subject, and every owner/trainer has their own (possibly unique) 'spin' on it, but you don't need anything fancy, complicated or expensive. And don't forget to follow the on-page links too, because they lead to important step-by-step guides to each part of this puppy training process and will make sure you reach 'expert level' as quickly, and easily, as possible. 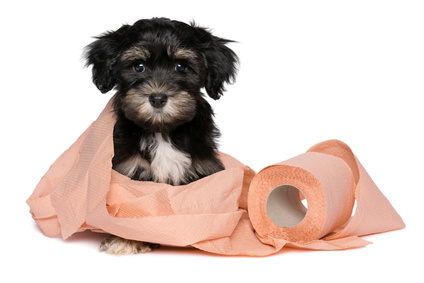 Potty training (aka housetraining) is one of the most important things that your new puppy needs to learn. This is often the task puppy owners dread, but it's actually pretty straightforward if you do it right! Puppies follow natural canine instincts and one of these is called the 'den instinct', which basically urges your pup NOT to pee/poop where he sleeps (because let's face it, his family den wouldn't be a nice place to be if everyone used it as a bathroom, right!). You can harness this instinct by crate training your puppy (the crate becomes his den) and this makes the whole process much faster, and less stressful for everyone involved. All you need is the right sized crate, a regular predictable daily schedule, time, patience, and consistency. 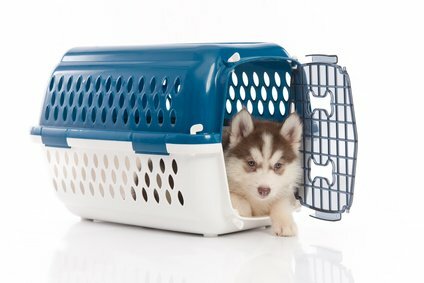 Go to my Crate Training Puppies page to find the simple Four-Step process that will have your little Fido on the path to being potty trained in no time. Although crate training is what I would highly recommend doing (and the way I've potty trained puppies, and adult dogs, my whole life) you can potty train a puppy without one if you have the time and patience. My Potty Train A Puppy page has loads of information that can help you and also discusses methods such as using pee pads or indoor dog potties. Getting your pup into good potty habits early (and preventing accidents and bad habits from forming) is such an important part of your puppy training efforts. An adult dog who has never learned these lessons can be difficult to live with and no-one is happy when this happens. If you take the time and effort to help Fido learn this very important lesson properly you'll both be happier.. short term and long term. Puppy behavior problems such as nipping or biting, jumping, nuisance barking, guarding and so on are incredibly common. Most of these behaviors are rooted in normal canine behavior and interaction, it's not that they're 'bad' behaviors (in the dog world at least), but they are inappropriate as part of a human-dog relationship. Your puppy really wants to please you and he's just waiting to learn how you expect him to behave, so again it's important to be patient and consistent when correcting normal puppy misbehaviors. Biting and/or nipping is probably the most common behavior problem new owners have to deal with, and it's very often one which is misunderstood or misconstrued. Nipping, biting or mouthing is NOT a sign of a mean or vicious puppy, rather it's simply a puppy being a puppy. But you do need to discourage this behavior early, while Fido's teeth are tiny (and so is he). There are several simple puppy training methods that will show your pup that this biting isn't acceptable, and will teach him to keep his teeth to himself. Calm, positive verbal corrections with a redirection of attention work for many puppies. Some need a more hands-on approach (but this NEVER involves raised voices, fear, or any kind of physical punishment!) and/or a time-out when they get too excited. Other habits such as excessive chewing, nuisance barking, food guarding and pushy behavior are things you'll need to discourage, while encouraging more appropriate behavior instead. As your pup reaches adolescence he's likely to become opinionated and bossy, talk back to you, ignore authority and generally act out... just like a human teenager! This is a normal part of puppy development (and it's a stage that will pass) but there are things you can do to make this period easier on everyone, as well as ensure your pup grows into the confident, friendly, well-mannered dog of your hopes and dreams. 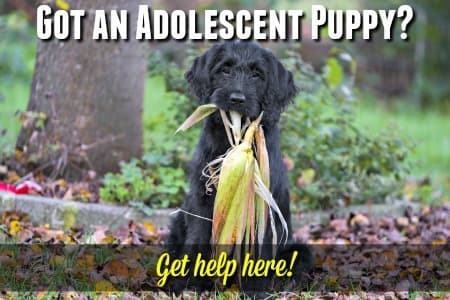 Check out this page, Adolescent Puppy Behavior, to find out how to negotiate the often bumpy roads of your puppy's teenage phase. 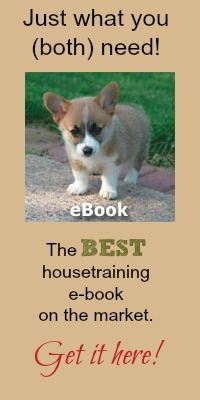 Basic puppy obedience is what most people think of when they think about puppy training. Good manners also falls under this heading. Learning manners makes your pup more fun and less stressful, it also makes him someone you're proud to take out-and-about. Puppy manners include knowing (and responding to) his name, not jumping up on people, waiting for you to go through a doorway first and other similar behaviors. Start out by using his name whenever you talk to him, play with him, feed him etc. For example, tell him "Good boy Fido" when you're stroking him, or say "Here you are, Fido" when you give him his food. This will help your puppy to realize that when you say the word 'Fido' it usually has something to do with him. You can also help kick-start the whole name recognition thing by keeping a stash of tasty treats in your pocket and at quiet times when your pup is nearby, randomly say his name in a happy, upbeat voice. When he looks up at you and makes eye contact, say "Good Fido" in a happy voice and give him one of those delicious treats! 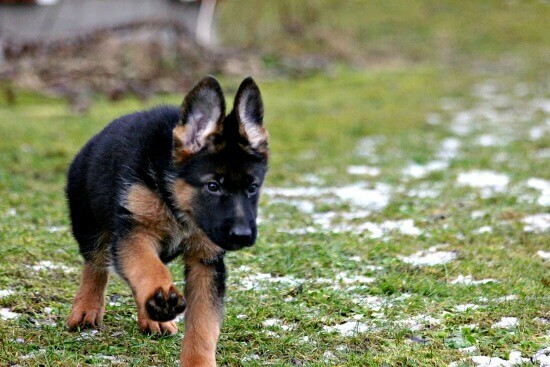 Puppy obedience involves him learning to obey certain dog obedience commands quickly and consistently. Then there's leash training, which is another important skill your little guy has to master. With any kind of obedience training, the key things to remember are patience, repetition, consistency and positive reinforcement (ie. lots of treats and praise). Learning to do as you tell him isn't just about you being the 'boss'. It's about improving his quality of life and keeping him safe too. 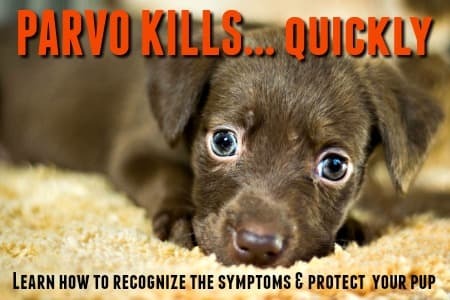 Obeying you without question can could even save your puppy's life one day. A well behaved puppy or dog can accompany you on day trips, road trips, vacations, attend sports functions, to to dog-friendly cafes and so on. 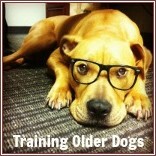 This makes life more fun for Fido and gives you more time to spend together. And just think, if your pup nips out through your open front door, or ducks out of his collar when out on a walk.. having him 'Come' on command may just save his bacon! Dogs are very intelligent and there's a huge range of commands (and even tricks) that you can teach your new puppy. Daily at-home training sessions are important, but keep them short while your puppy is young as he has a very short attention span. Three to five minutes is ideal when he's under 12 weeks old, and you can gradually increase this time as he matures. Several short daily sessions are more effective than one longer one. When you're training your puppy at home, vary the location of his 'lessons' because puppies are situational learners. This means that he will associate his learning experience with WHERE he learns it. So, for example, if he always practices his 'Sit' in the kitchen, and becomes an expert at it. He may go back to being a novice and not obey (even though he recognizes the word) if you ask him to 'Sit' in the back yard. By making sure he learns and obeys each command in a variety of locations you can hard-wire the lesson into his brain! Once he is old enough to be out and about in public, practice his obedience training at the park, in the front yard, in the Petsmart parking lot... wherever you go, add a mini-lesson to his outing and he'll be an obedience superstar in no-time. Formal puppy training classes are also hugely important and every single puppy should, at a minimum, attend one course of basic puppy obedience lessons. Your puppy gets valuable socialization experience and learns to work at his lessons in an unfamiliar environment with other puppies and people around him. You get some expert help and hands-on assistance with problem solving, as well as some socializing with other like-minded puppy parents. You both benefit from the stronger bond which develops between a pup and his owner when communication is improved and pack structure is cemented. I always like to have a good book at hand for reference whenever I'm learning something new or there's a lot of info. that I can't keep in my head. These books are all awesome and I highly recommend them. 'The Art of Raising a Puppy' is my all-time favorite. 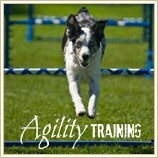 Socialization is often the 'forgotten' category of puppy training, but it's hugely important. Socializing a puppy means helping him to learn to feel comfortable and confident in all types of social settings and environments. Just like human children, puppies need regular social interaction and exposure to new people, pets, places, experiences and situations in order to learn how to behave around others and how to feel confident outside of their home environment. Socializing your puppy is fun because you get to spend a lot of time together and enjoy new experiences as a team. It's something that should be a lifelong habit if you want maximum results. There are tons of different places and situations which make perfect learning experiences for little Fido, check out these pages to learn how to socialize your puppy properly and for ideas on where/how to go about it... Socialize Your Puppy and Puppy Socialization.